Hi! My name is Kashukashu. To you, I offer the experience of polishing sensibility. Do not think, please feel. By opening the heart, I know that a new world is opened. There are many artists around me. 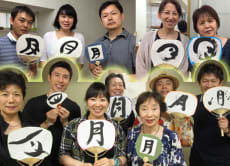 When I'm with them, even if, I may not speak a lot, they understand me. But, this is not to be a general, I learned it recently. I believe, "cultivating sensitivity" can communicate beyond the words. Ten years ago, I went to Paris alone. English nor French I do not speak. But it was a lot of fun. It was the best trip of me. I'm a calligrapher, graphic designer, and a healer. 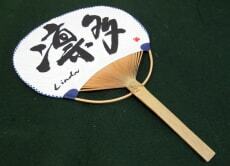 Enjoy Japanese calligraphy while learning the heart of zen, and make a Japanese fan!